Tender and fluffy, our gluten free pancakes are made with almond flour. 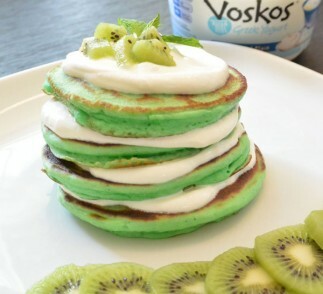 Tinted with green, they are the perfect St. Patrick’s Day breakfast! In a large bowl whisk together the wet ingredients. Add the dry ingredients to the wet ingredients until well blended. Heat a skillet on low to medium heat and spray with nonstick cooking spray. Ladle about 1/4 cup of batter to the skillet per pancake. When you can slide a spatula under the pancake easily, flip the pancake and cook the other side a few more minutes. 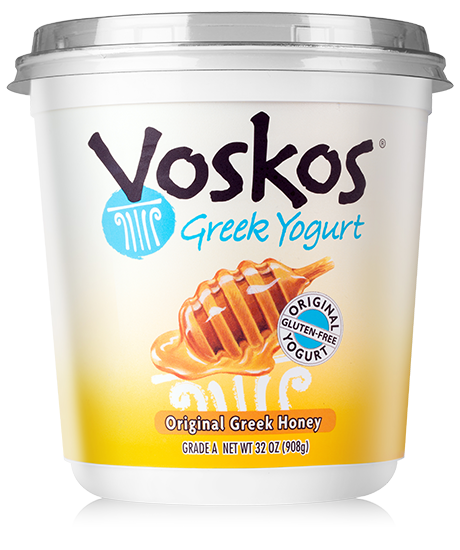 Layer the pancakes with VOSKOS Greek yogurt and a serve with a side of kiwi.